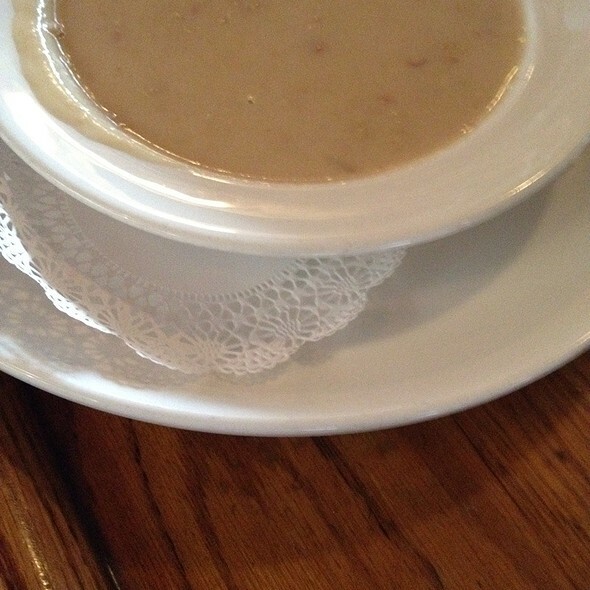 You must make reservations at least 5 minutes in advance of the time at The Tobacco Company Restaurant. Convenient public transit stops in front of the restaurant. Enjoy live entertainment with the region's finest bands Thursday - Saturday . Never a cover. Or dance the night away in our lower level nightclub open Thursday - Saturday beginning at 8pm. to close. Enjoy live entertainment with the region's finest bands Friday - Saturday beginning at 9:30pm to close. Never a cover. Or dance the night away in our lower level nightclub open Thursday - Saturday beginning at 8pm. to close. The Art Deco Lounge can accommodate you and fifty of your closest friends in an intimate semi-private atmosphere for your receptions and happy hour gatherings. 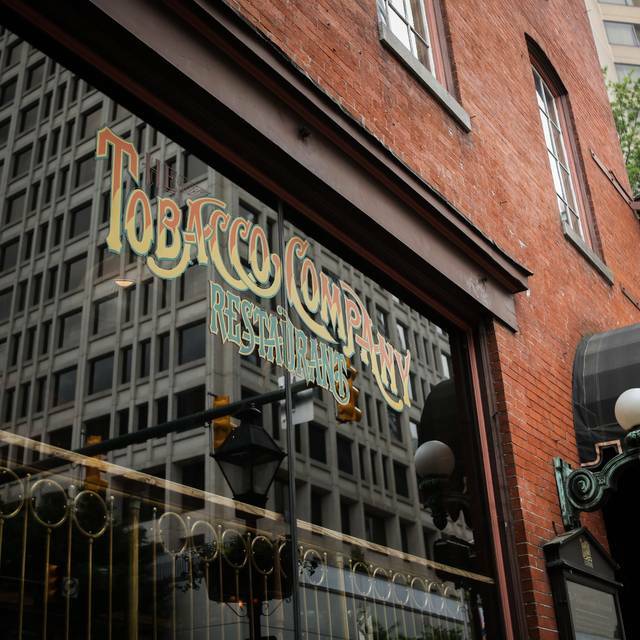 The Tobacco Company Restaurant is proudly celebrating over 40 years as Richmond's landmark dining and entertainment venue. This four-story, breath-taking restaurant embodies the spirit of Southern hospitality and charm. 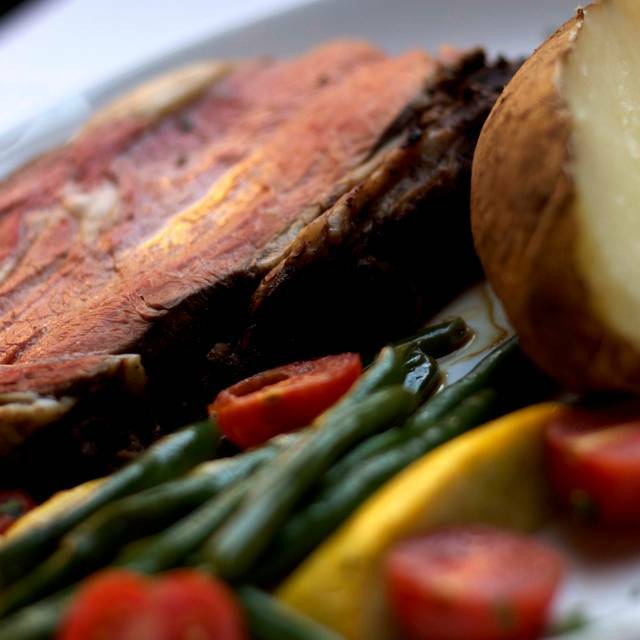 The exceptional menu features slow-roasted prime rib, aged Angus steaks, fresh seafood and an award winning wine list. Enjoy live entertainment on our first floor with never a cover or dance the night away in our lower level nightclub. 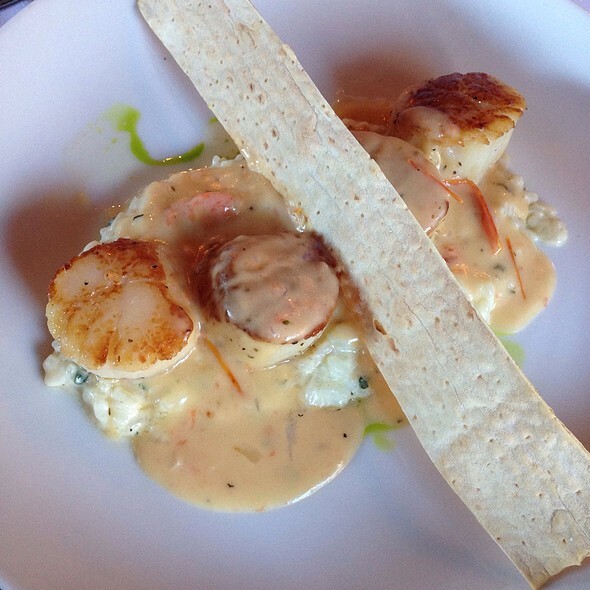 Our staff is committed to excellence and the creation of an unforgettable dining experience. Open seven days a week in Historic Shockoe Slip. Yukon gold whipped potatoes, herbed compound butter. Quality of beef was average. The seasoning on the ribeye had no real flavor. Ribeye was thin for a so called 14 oz steak. Caesar salad was excellent. The perfect spot for a special occasion dinner. It is pricey but the food and drinks are spectacular. Best crab cakes I've ever had! Our waiter was a bit overwhelmed with the number of people being served during our 5:45 pm reservation time. Our order was given around 6:00 pm, however, our food was not served to us until approx. 7:20 pm -- AFTER we had to have someone find our waiter so that we could inquire on the status of our meal. We learned that our order was somehow mixed in with the orders placed for a large group of 35-40 people that were seated AFTER we had placed our dinner orders. While the manager was very polite in adjusting our dinner bill to compensate for the situation, it somehow left a bitter spot. Will probably be a while before we return -- maybe there are more "kinks" to be worked out. Our first time but not our last! 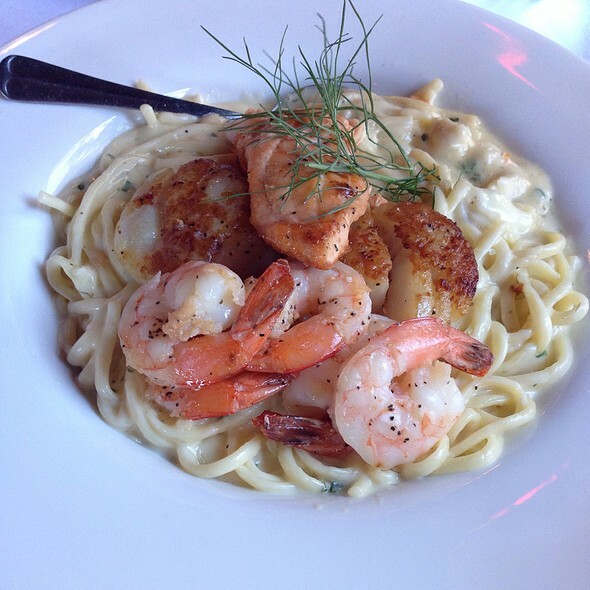 Wonderful food, service and beautiful ambiance makes it a family favorite. Perfect place to celebrate any occasion! I booked Easter Brunch for my daughter and I. I was really disappointed with the quality of the food and level of service. Both hostesses appeared to want to be anywhere but working there. No greeting, disinterested faces and generally unhappy. I realize that it’s a long day but it’s Easter! Slight smile, forced greeting? Anything? The hostess downstairs texted us that our table was ready but somehow I missed being informed and waited for 1/2 hour unnecessarily for our reservation. Our waiter was polite but took forever to take our order and virtually disappeared for most of our meal despite repeated requests for drinks etc. My Chesapeake crabcake Benedict was not a crabcake but stringy frozen pasteurized crabmeat sprinkled on top of an egg. My daughter’s French toast tasted like a sliced loaf pound cake from Food Lion with maple syrup on it. The fruit was fresh at least. Overall disappointing meal. I understand it is difficult to get so many diners in and out for Easter brunch but the food was not what I am used to enjoying at TTC. A beautiful place. They were somewhat overwhelmed by the Easter Brunch crowd. Service was great. Food took awhile and was lukewarm when it arrived. Food was average in quality and presentation. Overall the experience was OK. I would try again on a day that was less busy. It was Easter Brunch so we were disappointed that other patrons did not respect the occasion and dress appropriately. Had some friends call and wanted to go with my wife and myself .I called day of reservation and they accommodated us mo problem.Service was great along with food.Had a live band playing that was really good.After dinner we went downstairs for drinks and listened to band for a while.Great time can't wait to go back. The Tobacco Company's cocktails are phenomenal; I would definitely recommend coming to the Company for drinks and possibly appetizers, just to enjoy the atmosphere. The dinner was mediocre - I could definitely have done better myself. The steak was overcooked, the haricot verts were mushy and flavorless. The rock fish was good but overwhelmed by fillers - such as the lima beans. Great food. Loved decor. I’m not sure the waiter knew the menu that well but everything we picked was delicious. For a special occasion this is an excellent place! Our waiter and service was excellent! Will definitely return! Prom for my daughter. They were treated well and enjoyed their meal. Thanks! Went here for our anniversary and were pleasantly surprised. The lobster was fantastic. It's perfect to visit as a treat once in a while but not if looking to be price conscience. Can't wait to go back for another special occasion. By far one of my favorite restaurants in richmond. This our first time back since the fire. The food continues to be careful prepared and delicious. It was my son’s birthday and he received for free a delicious desert. Our server was an amazing person and made the evening special. For what didn’t seem a busy night, service was slow and food took a long time to get. After sitting quite awhile, the waiter finally asked if we wanted bread. Before our meals came, the waiter pulled the bread plates. My wife had left bread on her plate to eat with her dinner. Without asking, it was taken along with her knife, that was not returned. Overall a disappointing evening for the cost. I had never been here before, not even before the fire, and I wasn’t sure what to expect. It completely blew me away. It is probably one of the most beautiful restaurants I’ve ever been in. Every detail was well thought out and they’ve kept so much of the architectural interest. The service was spectacular, the food was so amazing, and we had a wonderful evening here. Easily my favorite restaurant in Richmond now!!! We've been eating at Tobacco Company for 29 years, starting with our first meal on our wedding night. We were greatly disappointed when they were closed due to a fire last fall and glad for a chance to visit this past weekend. We were pleased to see that much remained unchanged in both the atmosphere and service of our favorite place in Richmond. Unfortunately, the cost for my usual favorite - the Filet Oscar had increased substantially, so I chose to the Prime Rib instead. To say it was ample would be understatement and the juiciness and preparation were excellent. I did miss the robust flavors of Oscar and hollandaise, but the value was hard to debate. This was our spot before I transferred to Norfolk and we decided to come back after the renov. So, on my plate, the Ribeye was cook perfect, but too much charred on the outside, it did change the taste of the meat way too much. My mashed sweet potatoes were way too smokey, I wasn't able to catch the flavor of what made them like that. My wife's Filet mignon was well done like she ordered, but they went too far on the butterfly cut, it was all the way flat. The rest was really nice. That was at 7 pm. We left and came back to be new bar in the back of the first floor. Awesome bartender, equals awesome drinks and a really good time. And yes, I was there when that gentleman knocked out that glass and had to be escorted out, the way you all did it, that's really how you do it. Smooth so that the others would be able to keep enjoying the night. We are coming back for sure, maybe next time just bar and the the club downstairs. Thank you again for the great service and see you soon. Wonderful ambiance in a beautiful setting. Our waiter Nick was so polite, pleasant and courteous in serving us without pestering us. He truly seemed to enjoy working at the restaurant and waiting on us which made our visit very comfortable. The food was excellent. We hope to return and visit again sometime in the future. Amazing food with great service! Our waitress Spencer was great! Do yourself a favor and order the wedge salad. Outstanding evening. Tremendous variety and everything was prepared to perfection. Enjoyed the Goodwood Bourbon Barrel Stout!! Steak Oscar was outstanding! 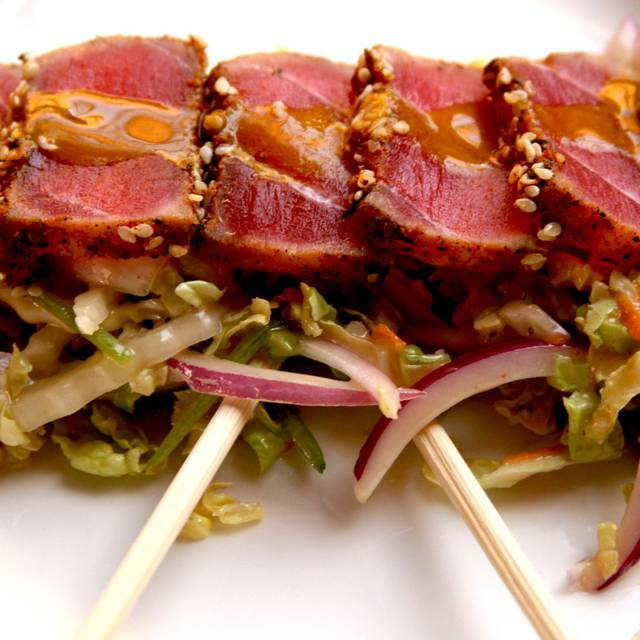 Meat tender and cooked to perfection with plenty of crab meat on top. 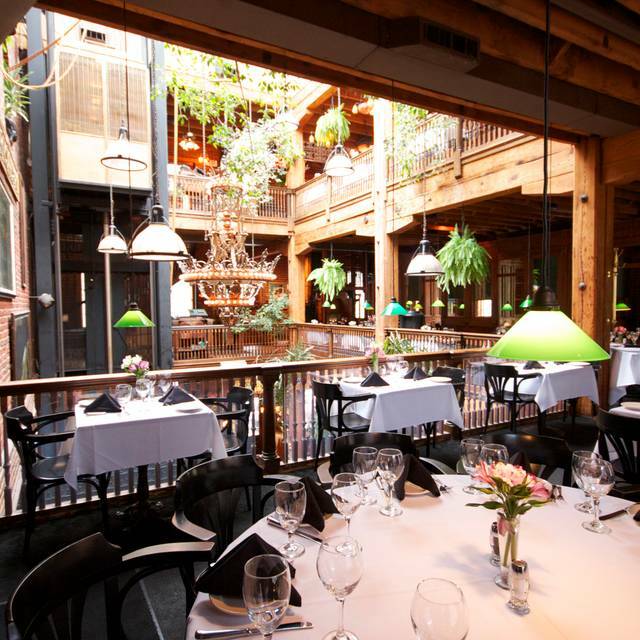 Restaurant, in an old tobacco warehouse, has the most beautiful decor of any restaurant you will find. Service prompt. Have been to this restaurant on many occasions and it never fails to impress me. My first visit back since the fire. Food was fantastic as was the atmosphere. Our waiter, while pleasant, seemed overextended and not as attentive as I would have expected. Our table never received bread and drinks came sporadically. Again, the food was fantastic. It could have just been a bad night. I will return again. Great food, service and atmosphere. 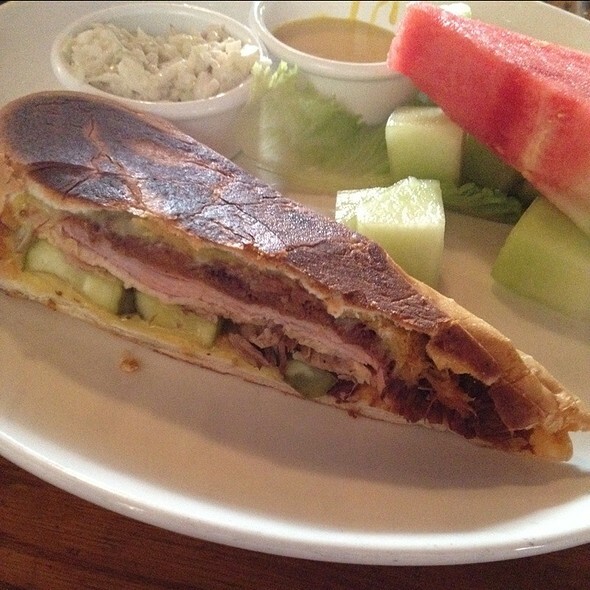 The menu allows for diners of various tastes, to enjoy. The decor and atmosphere were unique and inviting. All meals, appetizers and desserts were tasty. Fantastic service just topped off the experience. We will definitely be returning. Beautiful dining room, charming waitress, and delicious food that came out quickly on a Friday night. We were celebrating our anniversary (we came here 11 years ago) and received a complimentary dessert. Great night! Food was delicious! Service was great! The waiter knew the menu! Great time for friends to reconnect! Any time I have the pleasure of visiting Richmond, I am sure to book a reservation at The Tobacco Company. They never disappoint. The staff is go gracious. 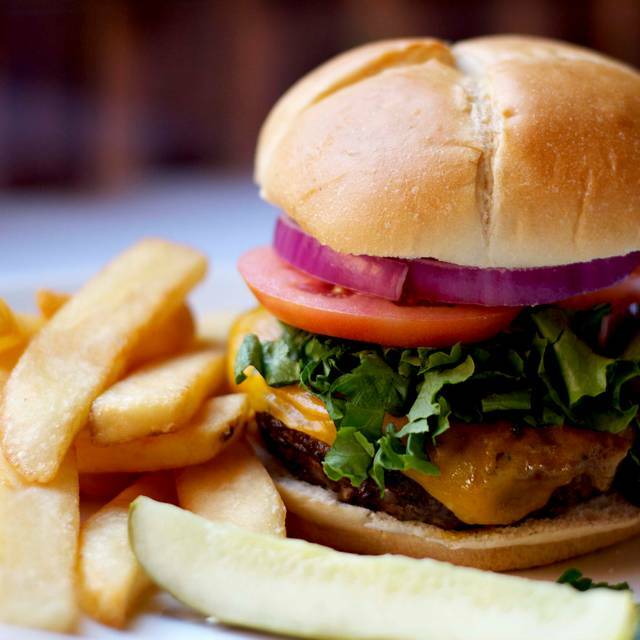 Their food is always impeccable with so many delightful options to choose from. And their attention to the guests, their needs and wants is unsurpassed. There is never a finished plate left in the way or an empty glass. I can't say enough about this wonderful restaurant. Top notch experience from the moment you walk in the door. Beautifully unique building surrounds a dining experience presented by professional staff delivering really, really good food and drink. Company Chicken dish was not well prepared and tasty. The chicken was overcooked and the spinach was bitter and with long stems. The cauliflower steak dish is a joke. $20 for a cold slice of vegetable? Overall the dishes were hugely overpriced. The experience was outstanding. The she crab soup was the best ever and the NY strip was cooked to perfection. My wife had the prime rid and is was also excellent. The next time we are in Richmond we will return. Made reservation for 815 and did not get our table upstairs until after 9. There was no throughput on the girl in the bar area to tell us when or bring us to our table. We had to keep checking in.we ordered our food then it came almost an hour later. Our waiter was friendly though. And the room they put our party in was perfect. Service was poor. Cocktail was not good. Steak was ordered medium and came out well done after taking an exceptionally long time at 9 pm. Disappointed. Prime rib over cooked. No crushed ice as the menu stated, was told “the crushed ice is on the 1st floor”. Everything took way too long. The waitstaff is attentive when it is not crowded. I enjoyed the company of family and friends. Happy to see them reopen. Food delicious and atmosphere fabulous! Really a great place for dinner . The butter cake dessert was the best dessert we have ever had ! What an amazing time from starting in the bar area then on to dinner! So glad they are back open!